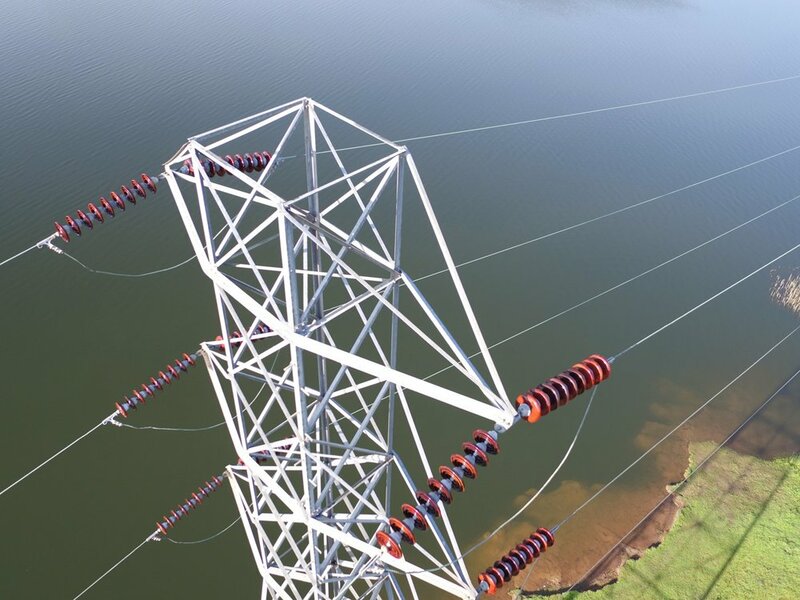 Electrical transmission towers require periodic inspection and maintenance, most of which is accomplished by crews of highly skilled linemen. Drone technology gives workers new tools for increased safety and efficiency. Electrical transmission line technicians can now take a close look at the structure and electrical equipment prior to ascending the tower. Drones can also fly tools up to crews on the towers, or drape "pull lines" over the towers that can be used to hoist up rigging equipment. This capability will become even more important as new fall protection rules take effect under OSHA 1910.269. Hawk Aerial can provide aerial inspection services to tower operators, using our pilots and our drones. Real time climbing and equipment decisions can be made quickly and safely, and rigging equipment can be hauled up as needed. Or, Hawk Aerial will train your crews on how to fly and use inspection drone systems that can become another highly valuable tool in their tool box. See our Tower Hawk drone system under the Products section of this website. And watch our video of a demonstration we conducted.